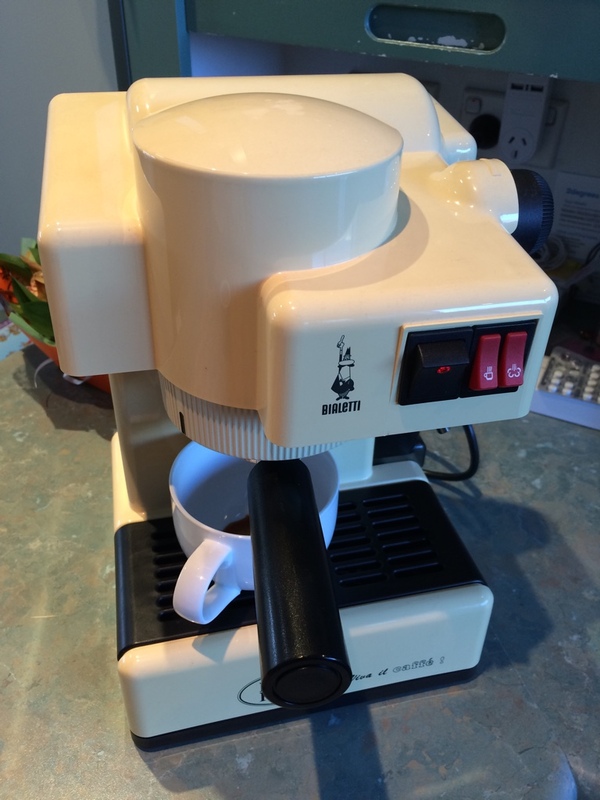 As some of you may have seen in other threads recently I picked up a little old Bialetti espresso machine just before Christmas, mostly to use at work. I gave it a good clean and it tested ok. Since then I've modified it slightly by replacing the terrible (and broken) panarello style steam wand with one off a V1 Silvia. 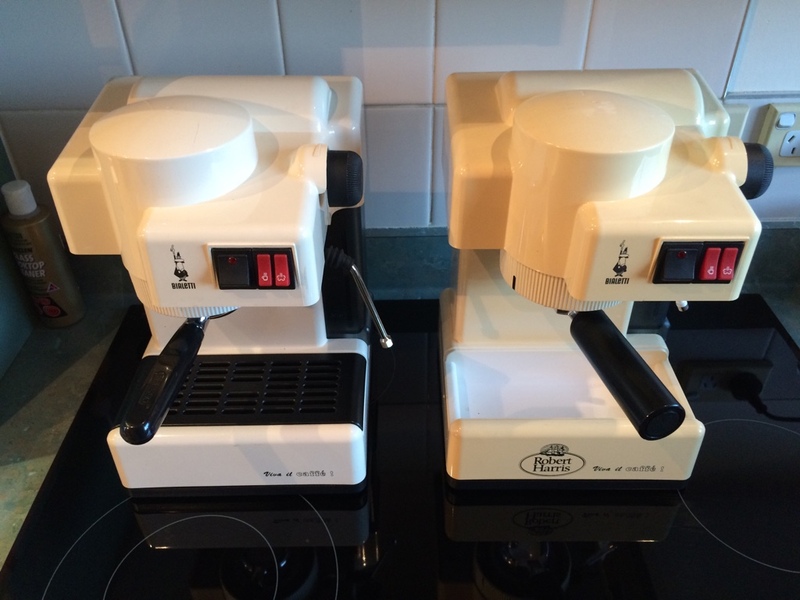 I've also replaced the old aluminium PF with a stainless Presso one that fit nicely once the lugs were filed down. 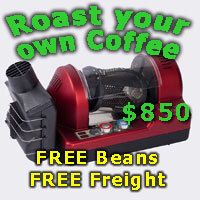 As you can see below I'm now using it at work with a crappy old modified Isomac grinder that I got for $20 and getting some pretty outstanding results. 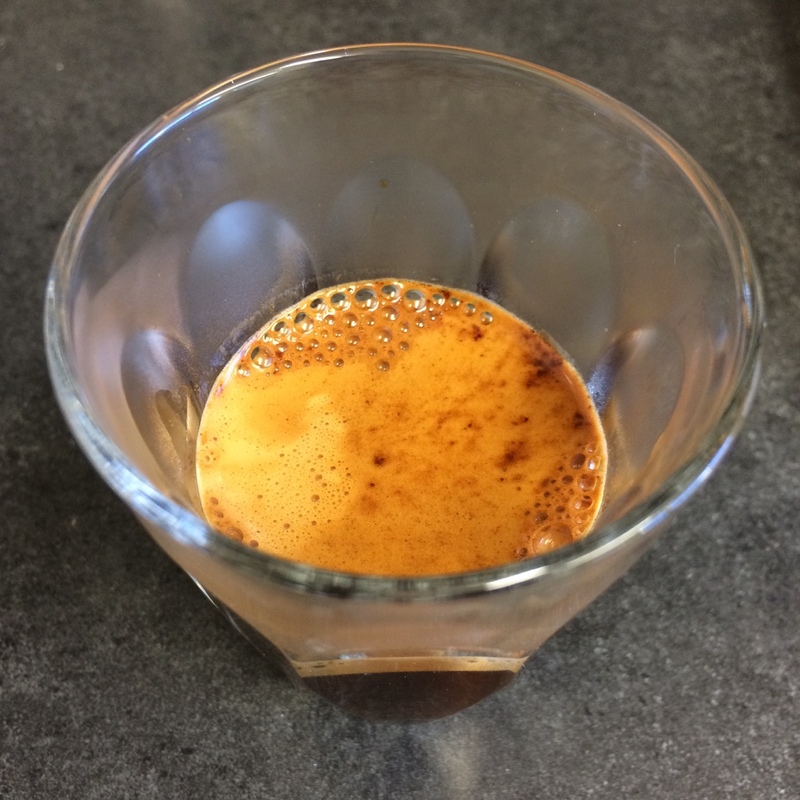 This was an espresso I made this arvo with some Congo SOPACDI beans I recently roasted at home on my Behmor. No, it wasn't as nice as what I made at home with my Compak K8 and Brugnetti Simona Top DE, but it was still damn good. pyrmontboy200, kyeba and zeezaw like this. Aahhh, so your user name is obviously your profession Logga. Yeah I'm guessing you'd get some sideways looks (and probably no shortage of comments*) if you set up an espresso machine in the portacom. Dimal, haywooj, Logga and 1 others like this. Yeah you're right there, I use to talk about espresso with them until I saw there eyes glazed over and they would be thinking "what the...." So I don't bother now, long as I'm drinking good espresso. Haha! Yeah I can imagine. Ah well, as long as you've got yourself covered the boys can drink all the International Roast they like. 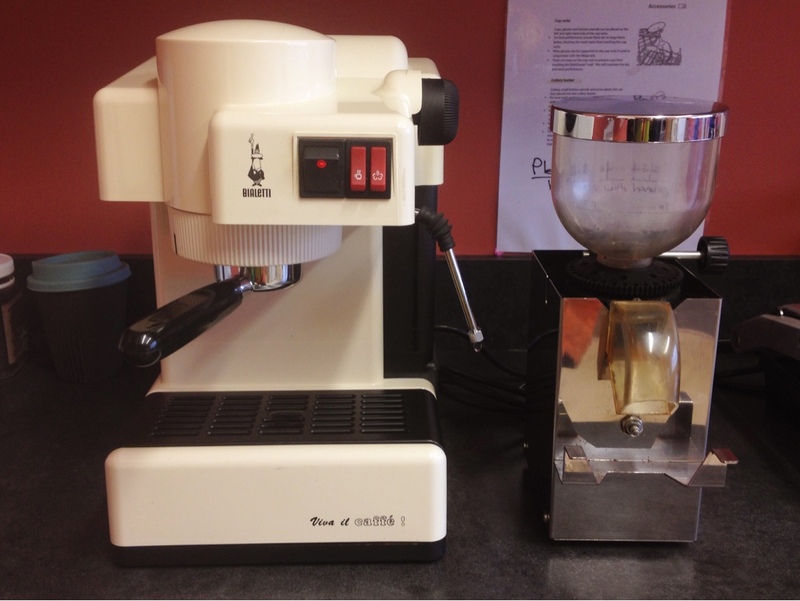 Had yet another beautiful naked PF extraction from this little machine this morning. 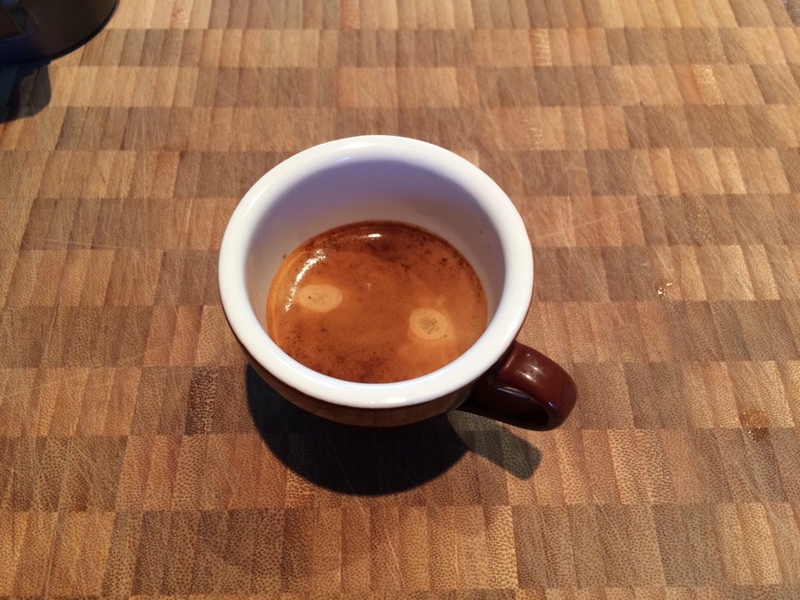 It produced this very tasty ristretto. Dimal, Logga and sprezzatura like this. artman, Dimal, Logga and 1 others like this. 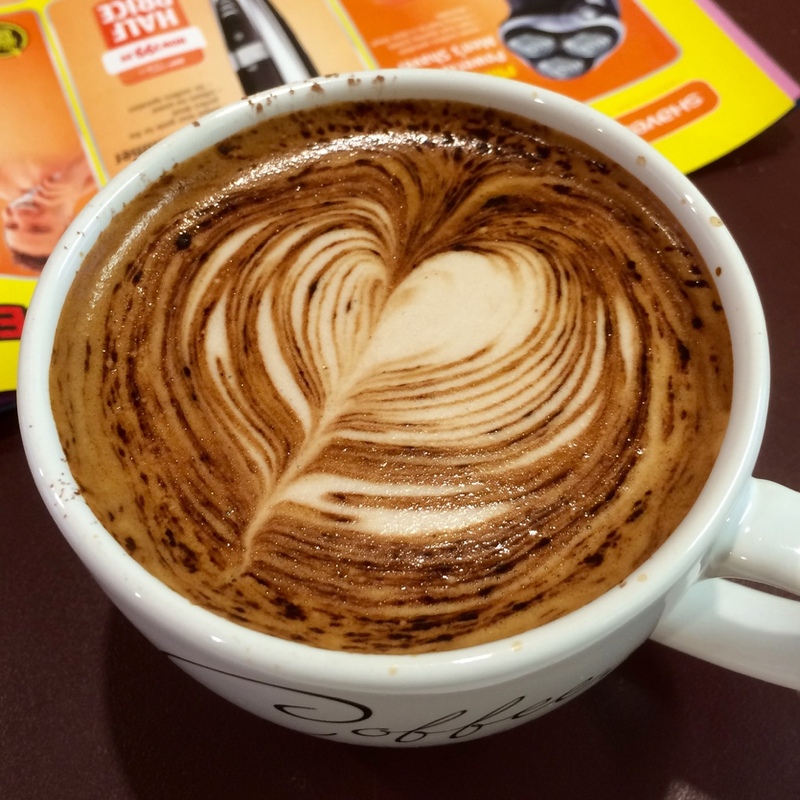 Gees looking good, I hope your workmates appreciate that nice looking coffee. Yeah got it on Trade Me here in NZ (our eBay alternative). I'm pretty stoked with it for sure. Picked up another one of these this week. This one is brand new and unused, but it's been in storage in a cardboard box for many years without being wrapped in plastic so unfortunately it's yellowed quite badly. My original one actually looks better on the outside so it's the one I'll be using. Still I only paid $20 and I now have a complete machine for spares as well as the option to use a standard PF rather than the naked one (although it's all aluminium - basket and PF). I've already swapped over some of the better parts from the new machine and will put it away now as a spare. Before I did I bench tested it after removing the panarello and Teflon taping the remaining steam arm pipe to give me a stubby but closer to standard steam wand. 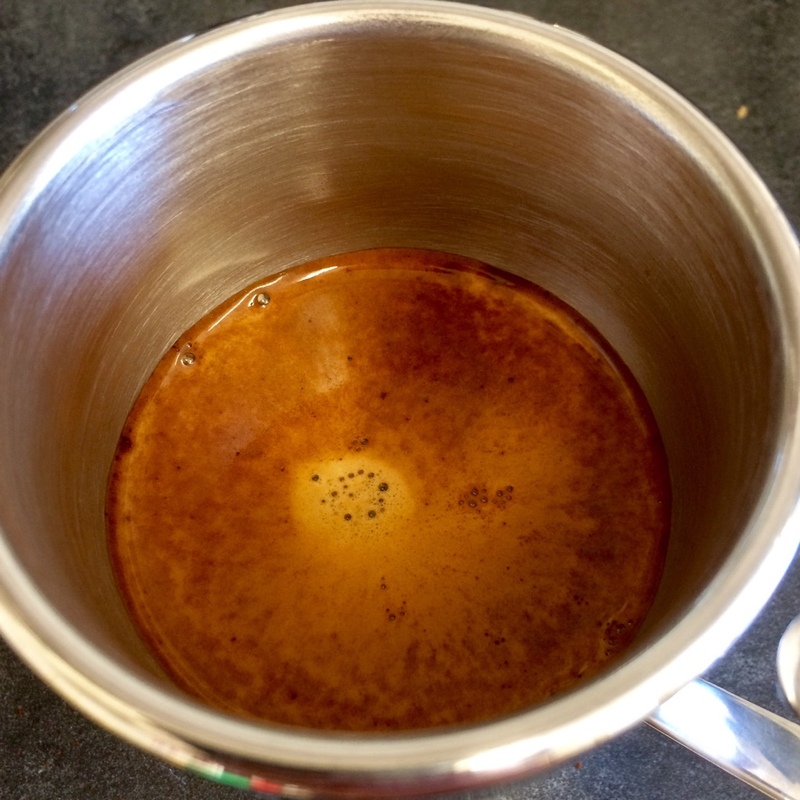 I managed to get quite a nice extraction from it using the aluminium PF and my NP Brazil Serra Dolce beans. 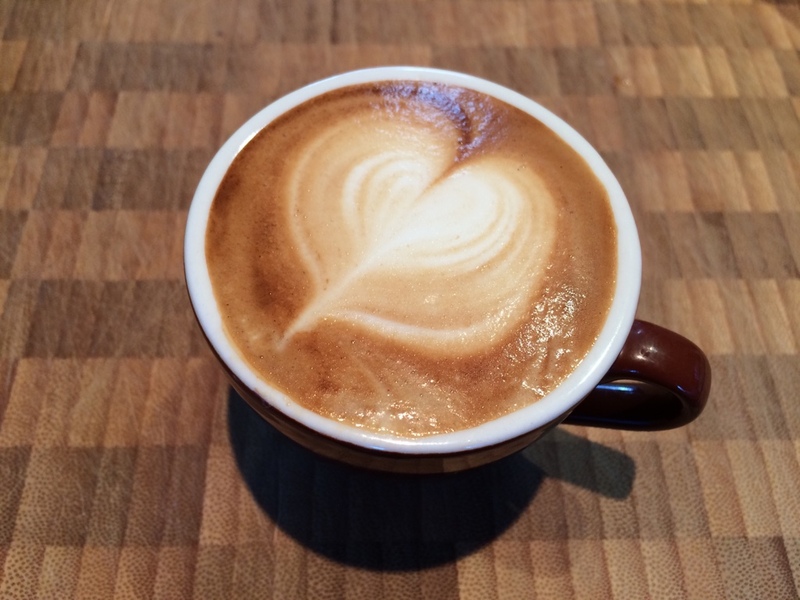 Turned it into a tasty little piccolo latte. Dimal, Logga and magnafunk like this.